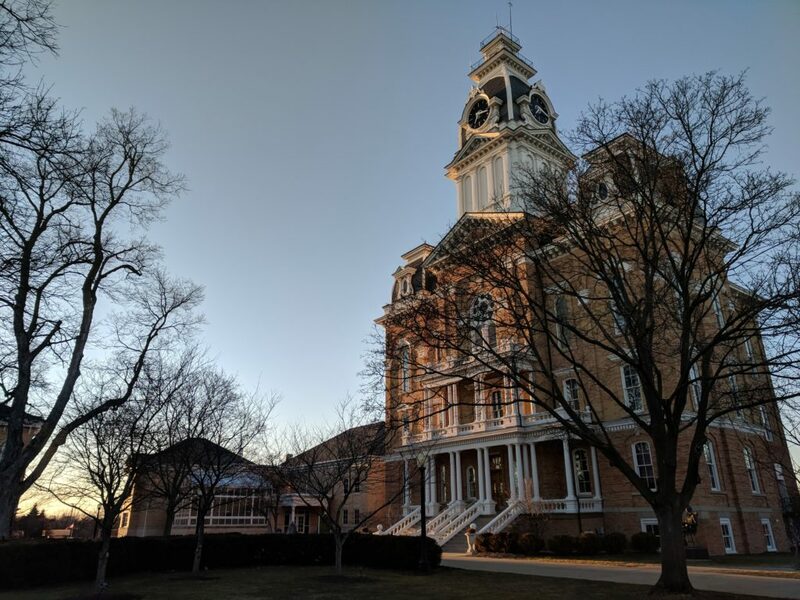 Hillsdale College is con­sid­ering starting a clas­sical edu­cation master’s program, but the idea is still in the brain­storming stages with no fixed plan, according to Hillsdale College Provost David Whalen and Asso­ciate Pro­fessor and Chairman of Edu­cation Dan Cou­pland. The only con­crete step that has been taken thus far was to see who, if anyone, would be inter­ested in a clas­sical edu­cation graduate program. But every­thing regarding a clas­sical school master’s program at Hillsdale thus far has remained at the the­o­retical level. “It would be unwise to talk of it as if it were a plan. It is not a plan; it is a con­jecture,” Whalen said. 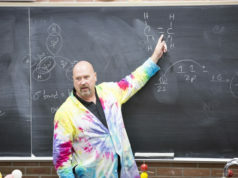 Such a master’s program would not be Hillsdale’s first involvement in clas­sical edu­cation. The school offers a minor in that field. Over time, as Hillsdale started the Barney Charter School Ini­tiative and began hosting the Clas­sical School Job Fair on campus every year, the college began to establish its name in the growing clas­sical edu­cation movement. Within the clas­sical edu­cation movement, though, there is a growing need for admin­is­tration and lead­ership. Before Hillsdale had any sort of graduate-level program, people asked how Hillsdale was going to con­tribute to the growing clas­sical edu­cation movement, said Cou­pland. 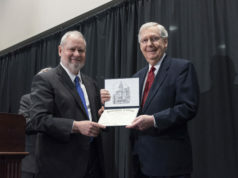 The Van Andel Graduate School of States­manship has shown that Hillsdale can do graduate level edu­cation, and do it well, he added. Now that there is evi­dence of interest from the mar­keting analysis, the college might be able to take another step towards launching the program. For current stu­dents in Hillsdale’s clas­sical edu­cation program, the prospect of a master’s program is exciting. Junior Zach Palmer, who is minoring in clas­sical edu­cation, said he has a strong interest in this kind of program. “I have heard the rumors and would be very excited if it’s actually a thing,” Palmer said. As a part of Hillsdale’s clas­sical edu­cation program, Palmer has been impressed with the classes and how Hillsdale has taken many of the ideas that the school is focused around and put them into a minor. 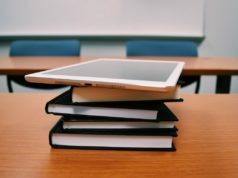 Right now, there are only a handful of schools, such as Uni­versity of Dallas, Eastern Uni­versity, and Houston Baptist Uni­versity, that have been devel­oping graduate-level pro­grams in clas­sical edu­cation, according to Cou­pland. As a result, current stu­dents like Palmer feels limited in options for graduate school. Whalen explained, however, that starting any graduate program takes a lot of work and time. The school would have to define what the program would look like, and then the college would have to go to the Higher Learning Com­mission to get per­mission and accred­i­tation to offer the degree. The college would also have to find funding, schol­ar­ships, and more faculty. For a program like clas­sical edu­cation, there would cer­tainly need to be good schol­ar­ships available for stu­dents. And only after all these things are figured out would the college even be able to open a program. Whalen said thinking about the program is the first step. “In a sense you do all the thinking first and then when you’ve thought it all out you set it loose,” he said. When does it become Hillsdale ‘Uni­versity’? IF the college adds another field to the graduate program, I would rec­ommend that it have some­thing to do with business, specif­i­cally, entre­pre­neurship. Drive alumni together with stu­dents to work on new business ideas.